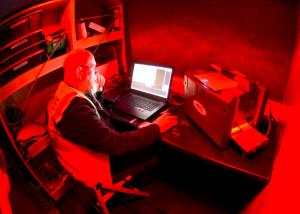 MOBILE COMPUTERISED RADIOGRAPHY UNIT – Delivering a more efficient approach to site radiography. Advanced NDT Solutions brings another first to Ireland with the addition of the Carestream HPX-PRO Portable Computer Radiography (CR) System. This allows our mobile radiography teams to perform onsite processing and analysis of inspections so clients have results in close to real time. It also allows for immediate softcopy of images and custom reporting options. CR is code compliant with all EN and ASME inspection specifications. Computed radiography (CR) uses very similar equipment to conventional radiography except that in place of a film to create the image, an imaging plate (IP) made of photostimulable phosphor is used. The imaging plate is housed in a special cassette and placed under the body part or object to be examined and the x-ray exposure is made. 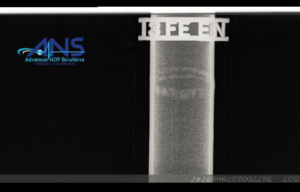 Digital radiography (DR) is a form of X-ray imaging, where digital X-ray sensors are used instead of traditional photographic film. Advantages include time efficiency through bypassing chemical processing and the ability to digitally transfer and enhance images. Also, less radiation can be used to produce an image of similar contrast to conventional radiography. Greater image quality and faster results. Accurate detectability of smaller defects. Economical due to the reduced film costs as the data is stored digitally. Portable and mobile systems for real time site results. Provides options for dose reduction wherever necessary. New technology also offers storage possibilities of the data and images. Possibility of wireless transfer of data. Some of the applications currently taking advantage of this latest technology to provide an enhanced quality process to our customer.